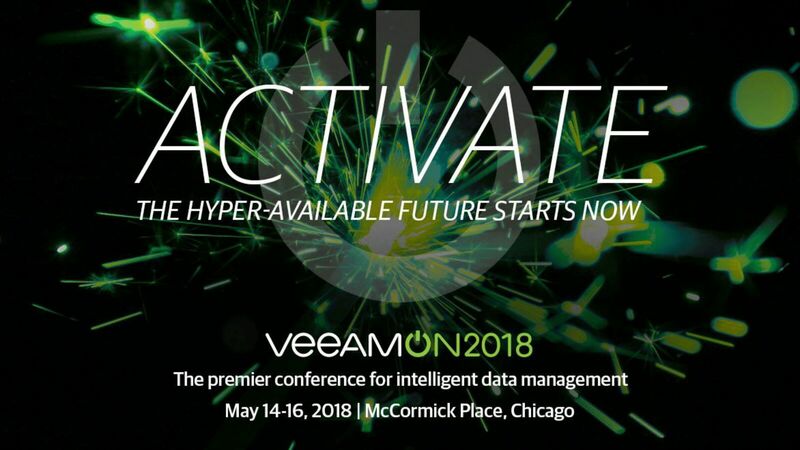 VeeamOn 2018: Recognizing Innovation and what it means to be Innovative - VIRTUALIZATION IS LIFE! True innovation is solving a real problem…and though for the most, it’s startups and tech giants that are seen to be the innovators, their customers and partners also have the ability to innovate. Innovation drives competitive advantages and allows companies to differentiate themselves compared to others. In my previous roles I was lucky to be involved with teams of talented people that did great things with great technologies. Like others around the world we where innovating with leading vendor technologies to create new service offerings that add value and compliment the underlying technology. Innovation requires these teams of people to be experimental at heart and try to build or enhance upon already existing technologies. The Service Provider industry has always found a way to innovate ontop of vendor platforms and successful vendors are those that offer the right tools and guidance for providers to creative innovative solutions ontop of their platforms. The are problem solvers! Orchestrations, automation, provisioning and billing are driving factors in how service providers can differentiate themselves and gain that competitive advantage in the marketplace. Without innovating ontop of these platforms, service offerings become generic, don’t stand out and are generally operationally expensive to manage and maintain. When visiting and talking to different partners across the world it’s amazing to see some of the innovation that’s been built ontop of Veeam technologies and we at Veeam want to reward our customers and partners who have done great things with our technologies. At VeeamON 2018, we’ll be celebrating some of these innovative solutions, so please let us know how you’ve built upon the Veeam Availability Platform. Nominations can be made from March 29 to April 30, with the winners being recognized during the VeeamON main stage keynote. Self nominations or those from partners, providers, or Veeam field-team members are encouraged — click here to nominate for a Veeam Innovation Award. I can think of a number of VCSPs that have done great things with building upon Cloud Connect, Backup & Replication IaaS backups and working with Veeam’s API’s and PowerShell to solve customer problems and offer value added services. These guys have brought something new to the industry and we want to reward that. Having previously come from a successfully innovate company within their own space, being innovative is now something I try to preach to all customers and partners I visit. It is an absolute requirement if you want to win business and stand out in the backup and availability industry…innovation is key and we want to hear about it from you!